Instead of just a quick slurp from an old mug, drinking tea should once again become a relaxing ritual, believes Femke Roefs. In the great tea-drinking cultures of Japan and the Middle East, the beverage does more than just quench the thirst, it also fulfills an important social role. 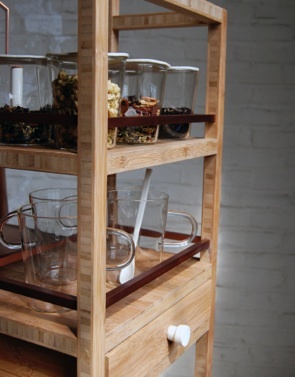 With this in mind, Roefs created a mobile bamboo tea trolley, complete with hand-crafted copper kettle and accompanying heat source, plus room for cups, saucers, sweets and all sorts of teas. 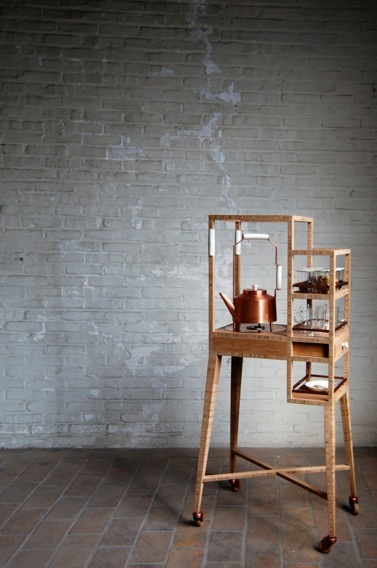 In short, the trolley acts as a luxurious centrepiece to reinstill this age-old drink with a sense of occasion, transforming the mundane into an experience to be savoured.